FaZe Clan secured their first tournament of 2019 after beating Cloud9 2-1 in the ELEAGUE in Atlanta. The European Organisation, which had just announced a roster change, with the arrival of Dauren “adreN” Kystaubayev, who replaced Finn “Karrigan” Andersen, and the addition of Serbian Coach Janko “YNk” Paunović, faced their first major test on LAN, and redeemed themselves against the same opponent which beat them a year ago in the ELEAGUE Major held in Boston. Cloud9, who have themselves been riddled with roster changes following the departure of Stewie2K and Tarik, blew apart FaZe on Mirage by a scoreline of 16-3, with a near flawless 14-1 CT half, and looked set to take the match easily against a toothless FaZe. Inferno, however, was a completely different ball game with the European powerhouse taking an 11-4 lead, marked by an insane 1-3 by Havard “rain” Nygaard with just a P250 being invested by the entire team. In the 2nd half, Cloud9 rallied to win 7 of the first 8 rounds to keep the scoreline modest at 12-11, but FaZe eventually got their groove and closed out the game 16-12. Train was similar to Inferno, where FaZe led 11-4 on the CT side after a couple of back and forth rounds and looked on course for a crushing victory, before Cloud9 managed 4 rounds at the start of the 2nd half to make matters more interesting. A masterclass by Ladislav “GuardiaN” Kovács however, including a breathtaking 1v4 ace clutch ensured FaZe would take home the trophy in style by a score of 16-9. 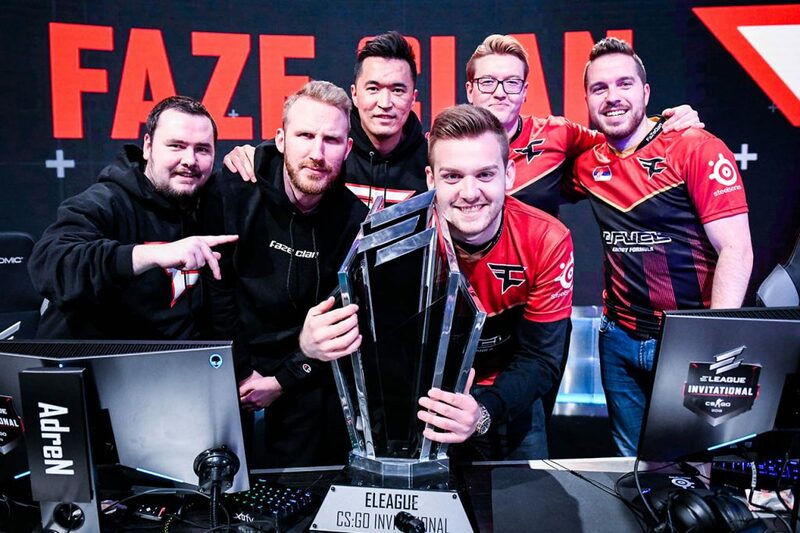 This tournament will be a massive boost to FaZe, who have had a patchy few months, and would now look to build on this performance into the Katowice Major next month. As for Cloud9, while it is a tough pill to swallow, there are many positives to take from the event as they too look to develop with their recent roster changes.